I am so pleased with how this quilt turned out! I think the best part is the texture; it’s really light and lofty and the linen is so soft. I bought the linen from fabrics-store.com and the quality is really wonderful. 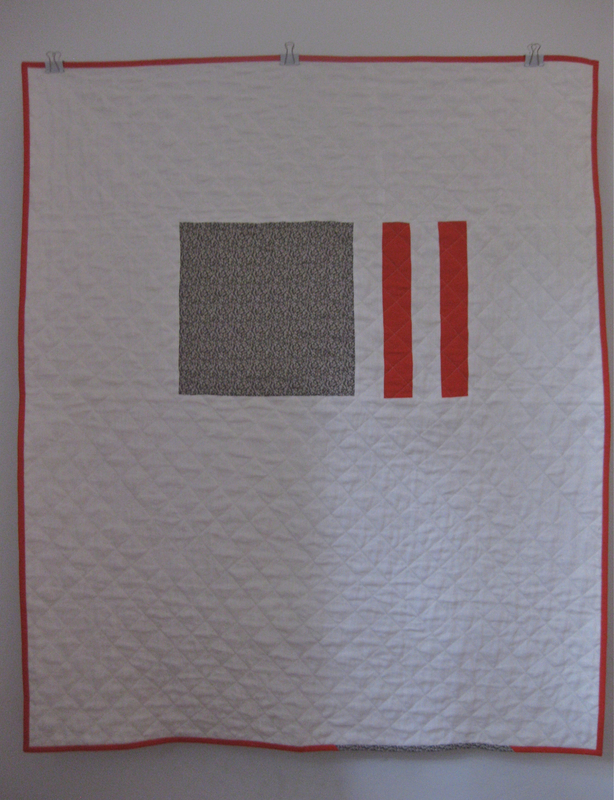 I know it will improve with age, too, which is really nice for a baby quilt. The backing is Kokka large gingham in gray. This is a beautiful lightweight, silky cotton. 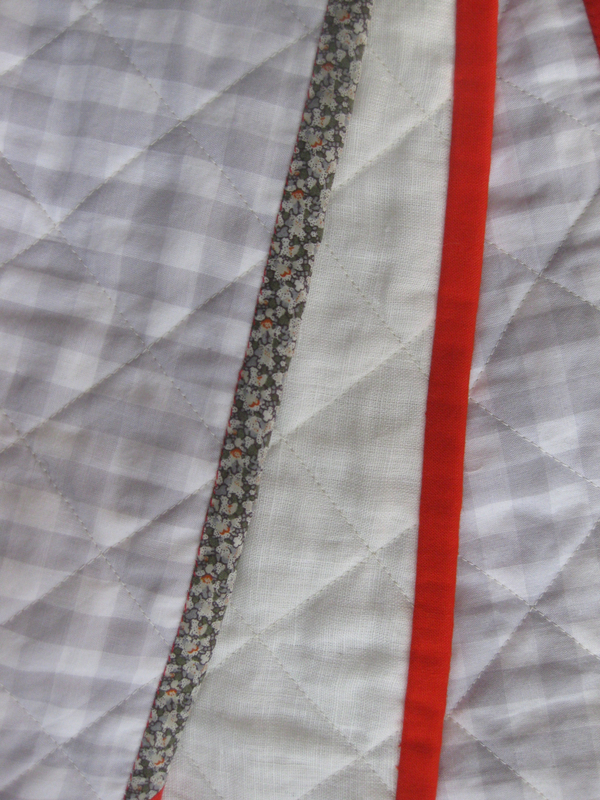 I’m so glad I bought five yards–I want to back all my quilts with it! I added a small section of Liberty to the binding and I really like how it looks. It kind of breaks the frame of the binding, so the design doesn’t feel too boxy. I’m excited to try another linen quilt–this time with a yellow floral and bright citrus. I’m really interested in yellow at the moment! I’ve added this quilt to my Etsy shop. This entry was posted in fabric, quilts, suppliers and tagged brigit gail, Etsy, fabrics-store, Liberty of London, linen quilt, modern quilt on January 11, 2014 by brigitdermott. The gingham looks great on there and I love the linen look too..Great job. A lot of yellow has made its way into my stash over the last month so I’m looking forward to doing something with yellow as well. I love feature inserts in binding, they add interest and draw the eye. Thank’s Sarah! I’ll look forward to seeing what you do with your yellow! It looks beautiful. 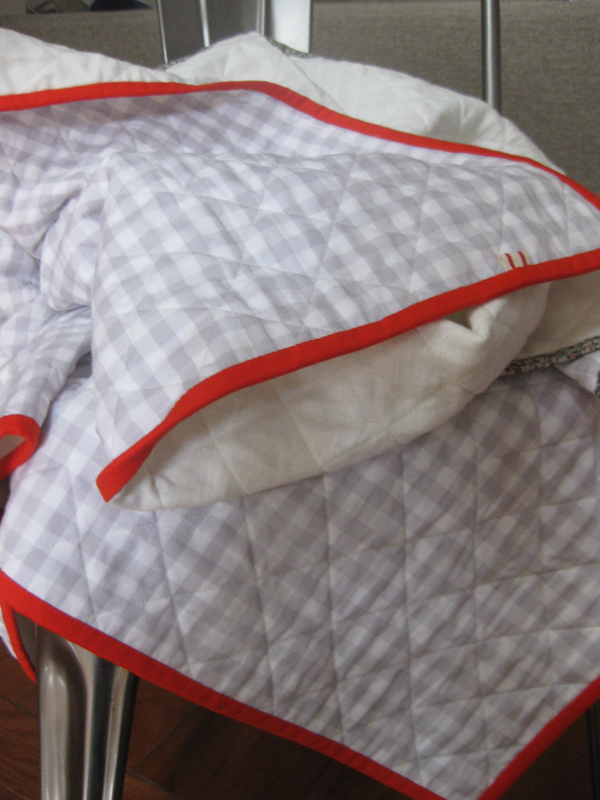 Baby or big quilt? I agree–the big gingham is great. Biggish baby quilt–it’s big enough to be a lap quilt, too. It’s such a manageable size to make!